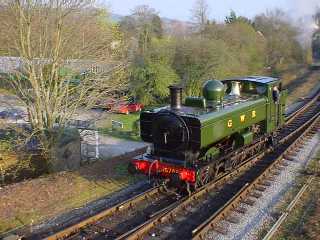 Worcester Loco Society's pannier tank 5786 ran the highest mileage of any of the South Devon Railway fleet in 2005. Total mileage run up to close of play on 31st December was 5385 over 104 days. The next highest performer was Prairie Tank 5526 with 4941 miles over 93 days, closely followed by 0-4-2T 1420 at 4593 miles over 88 days. Small outside pannier tank 1369 ran up 2663 miles over 56 days, before being withdrawn for 10 year overhaul at the end of the season. Total steam mileage run by home based machines was 17700 miles on a total of 352 days steaming. Diesel mileage amounted to 2670 miles. 37037 ran the most miles - a total of 858 miles over 32 days. It was helped to first place by virtue of several charters as a result of its re-entry in to traffic, in particular one for the Growler Group who ran up a 100 miles of 37 haulage in one day! 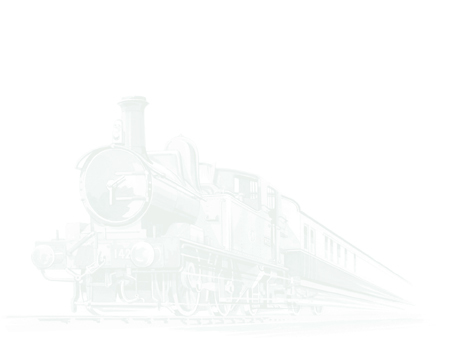 South Devon Diesel Group's 2 Class 20's 20 110 & 20 118 ran almost identical mileages at 618 and 621 respectively.